11 Crystal Avenue, Lakewood, NY.| MLS# R1137680 | Chautauqua Lake Real Estate Services. Informed, Professional Real Estate Information Serving Buyers and Sellers Interested in Lake Chautauqua Real Estate and Chautauqua County NY Real Estate. Rick and Julia McMahon Real Estate Advantage Since 1992. Have you ever dreamed of living on the lake but the cost to do so was just too much?! Now's your chance to live it up at an affordable price! 30 feet of exclusively owned lakefront with a fully furnished cottage. Take advantage and use it seasonally or all year round..a gas stove and baseboard heat to keep you toasty in the cooler months and new a/c units to stay refreshed in the warmer weather. 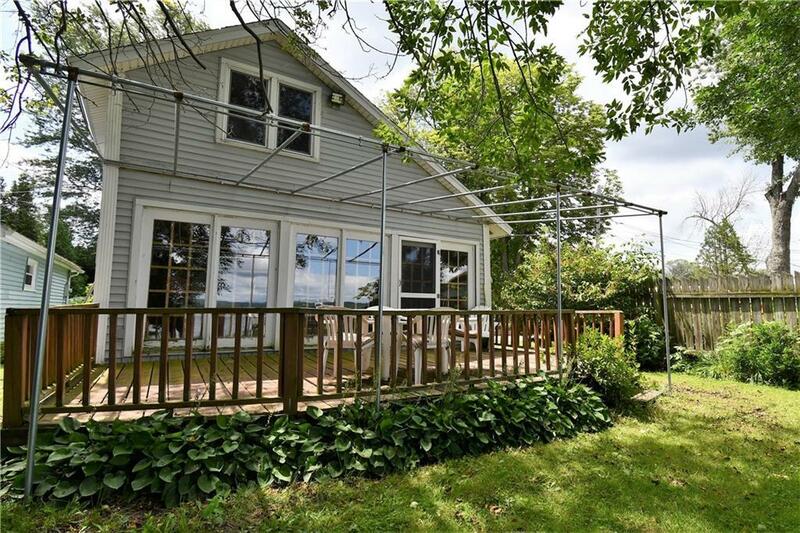 Enjoy the view from the living room with all glass facing the lake or relax and unwind on the deck that has a newer Jamestown awning. Dock your boat or Fish right off your own dock! Call today for your private tour and for more details. Directions To Property: Heading Toward Lakewood On E. Terrace, Crystal Will Be On Your Right Side..in Between Burtis Bay Boat Launch And Rod And Gun.